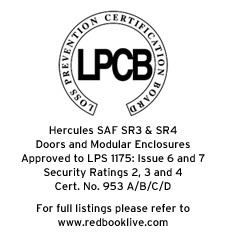 PSF (Wales) Ltd, part of the Morgan GRP Group of companies has been successful in winning entry in the world renowned Red Book(published by the Loss Prevention Certification Board, part of BRE) for the manufacture of its Hercules SAF range of buildings and doors. The wall construction and both single and double doors have been tested to LPCB Levels 2,3 and 4 of LPS 1175 issue 6 and 7: Specification for Testing and Classifying the Burglary Resistance of Building Components. 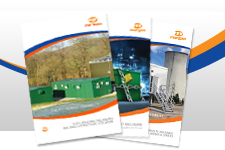 We have worked with both Power Generation and Water Utilities to incorporate individual requirements and now offer a unique aesthetically pleasing product within the market place.